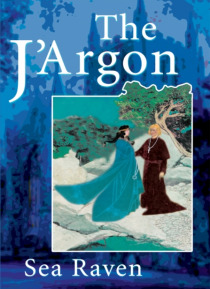 The J'Argon is the leader of a spiritual alliance that has voice, but not vote, in 22nd Century global politics. She is the Fourth J'Argon, and the first woman to hold the title since the Covenant of the Word was formed in 2047. Her long-time lover, partner, and soul friend, the Arch Deacon of the National Cathedral, is a leader in the Liberation Underground ... "e;DEEPLY SPIRITUAL PEOPLE IN… DIRE WORLD CIRCUMSTANCES USING THEIR SPIRITUAL AND PHYSICAL ENERGIES ALONG WITH HELP FROM UNEXPECTED PEOPLE AND MAGIC, OLD AND NEW, KEEP THE WORLD FROM DESCENDING INTO DARKNESS ... THIS EXCITING STORY COMBINES COMPELLING CHARACTERS IN A RICH BREW OF WELL-DEVELOPED PLOT LINES. "e;Jim Negrette, Reclaiming Quarterly ? The Magazine for Witchcraft and Magical Activism. "e;THE J'ARGON IS THE MOST POWERFUL NARRATIVE OF SPIRITUAL INTRIGUE, RITUAL, AND POWER...NOT SINCE I READ MARION ZIMMER BRADLEY'S MISTS OF AVALON HAVE I FELT SO MOVED TO MY SPIRITUAL CORE. "e; Maria Cristina Gonzlez , Ph.D., D.Min., Senior Lecturer, Arizona State University, and former Dean, University of Creation Spirituality, Oakland, California. The Year is 2157. The United States has become a repressive theocracy, where a great Evil holds sway and plans to conquer the world. The Arch Deacon must open his prophetic Christian mysticism to the J'Argon's ancient earth-based magic and awaken his own Adept power, so that together they can defeat the Dragon.